Rutland, VT – April 1, 2019. 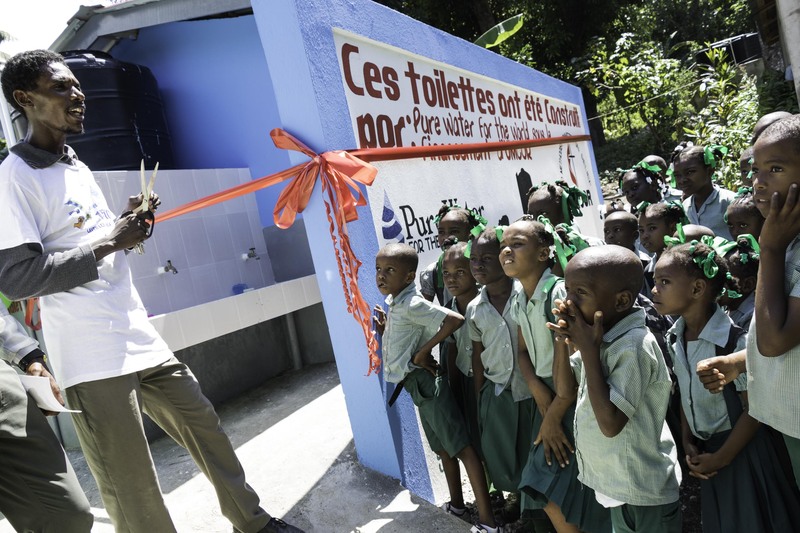 Pure Water for the World, Inc. (PWW) is pleased to announce the appointment of David Trofort as Country Director for Haiti. David succeeds Marion Nonglaton, who has returned to her home country of France after working with PWW for four years. David Trofort, a Haitian national, joined Pure Water for the World’s staff as a Project Coordinator in January, 2018. He was promoted to Deputy Director in the fall of 2018 and became Interim Country Director in January of 2019. David brings his breadth of experience with WASH program leadership and training, in addition to effective project management and monitoring, to the PWW team. David began his career in WASH (water, sanitation and hygiene) 16 years ago. Following the 2010 earthquake in Haiti, he worked with Save the Children to conduct extensive research, implementation, and monitoring programs to bring sustainable WASH solutions to areas heavily impacted by the post-earthquake cholera outbreak. David succeeds Marion Nonglaton, who started with PWW as a volunteer in Trojes, Honduras in early 2015 and moved into the role of Project Coordinator later that year. In early 2017, she traveled with PWW to Haiti, initially serving as a consultant to help expand Haiti’s WASH program. Shortly after, Marion assumed the role of PWW’s Country Director in Haiti. To learn more about Pure Water for the World, please visit our website at www.purewaterfortheworld.org.